You cannot be over-prepared for this! Before you start shooting you need to know all the camera angles you intend to use, ensure that you have put together a storyboard or pre-visualisation, as well as shared all of this with your entire crew (and talent). Your cinematographer needs to know where your intended light source is going to come from (more on that later), and you need to render your background in advance. Show this to your actors so that they know what their environment looks like and can plan their eyelines. Just because you are shooting against a green screen doesn’t mean you can forego creating a set or using props – on the contrary, they help ‘sell’ the environment that you’re trying to create. Try to bring in as many real elements as you can, this will help your actor interact with the space and it also simply means that you have less that you need to make ‘real’ post-production. This forms part of your preparation stage, however deserves a mention of its own. You will need to map out your blocking before shooting day so that you know all your camera angles and can give your characters clear blocking directions. This will ensure that your actor does not feel restricted as they understand the limitations of the space. Using the right camera angles can make all the difference! Stay away from having your actor face the camera with the green screen directly behind them, this can give the footage a ‘flat’ look and is often a dead giveaway that you’re using green screen. As we’ve mentioned before, storyboard or block out your camera positions beforehand to make sure you get the best angle for every shot (as you would if you were shooting on location). It helps if you always keep the vision of your entire shot while shooting, and don’t be afraid to throw in some low or high camera angles. Lighting is also one of the elements that if done incorrectly gives away the use of green screen. The actual green screen itself needs to be lit flat and exposed with no shadows falling on it, and the lighting on your actors needs to form part of the environment that you are creating for them post-production. For example, if you keep the final result in mind you will know where the motivating light needs to come from, such as the angle that a sunset might illuminate the character versus the dappled lighting affect under a forest canopy. This helps to make your characters look like they belong in your intended background, and not look out of place. If you can keep all these tips in mind you are already on your way to achieving things with green screen that not too long ago were thought to be unimaginable! Green screen comes with its own set of challenges but should definitely be appreciated for its advantages and used to create powerful images that help you to creatively advance your story. 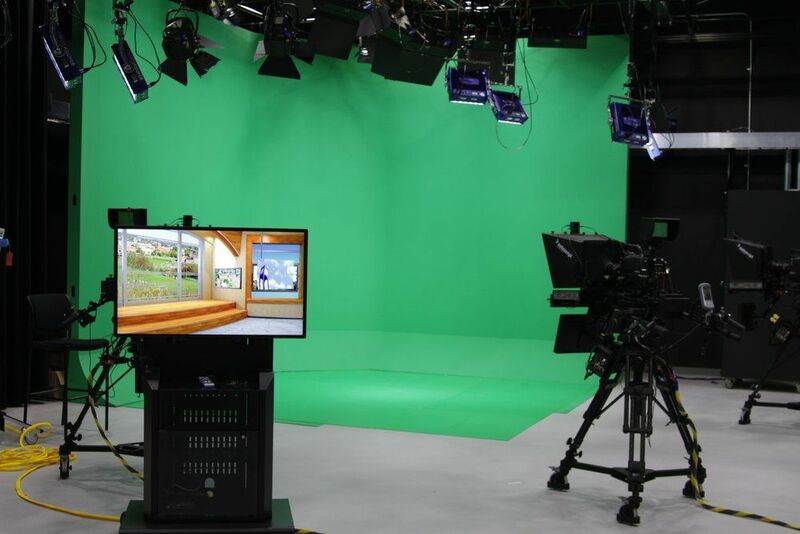 If you would like to find out more about shooting at Atlantic Film Studios and using our Green Screen studio, please contact us.